So you have additional refrigeration or freezer needs but you’re not sure if you need to rent or buy a cold storage unit? Here are a few questions to consider when deciding on renting or buying a refrigeration and/or freezer unit. Do you need to keep your capital free and available? If so, renting frees up capital and credit lines to spend on other income producing investments or additional inventory to generate more sales. Renting equipment does not appear as a liability on your balance sheet and increases your current ratio of assets to liabilities, resulting in much better financial leverage. Do you have seasonal needs where you could make extra money if you had a place to store extra product? Renting allows you to take on more seasonal or temporary business on a short term basis, as well as specialized projects, without the long term financial commitment. Increase your inventory during your heavy season and increase your bottom line! Do you want to make permanent improvements to the property? Renting refrigeration equipment allows you to create the additional cold storage without the hassle of building permanent structures. Going through an extensive permitting process typically associated with permanent structures can require time and money. With Polar Leasing refrigeration rentals, you can avoid delays and save money. You save on property taxes, insurance, and maintenance costs associated with building a permanent structure. Want to expand but uncertain if your business can sustain it? 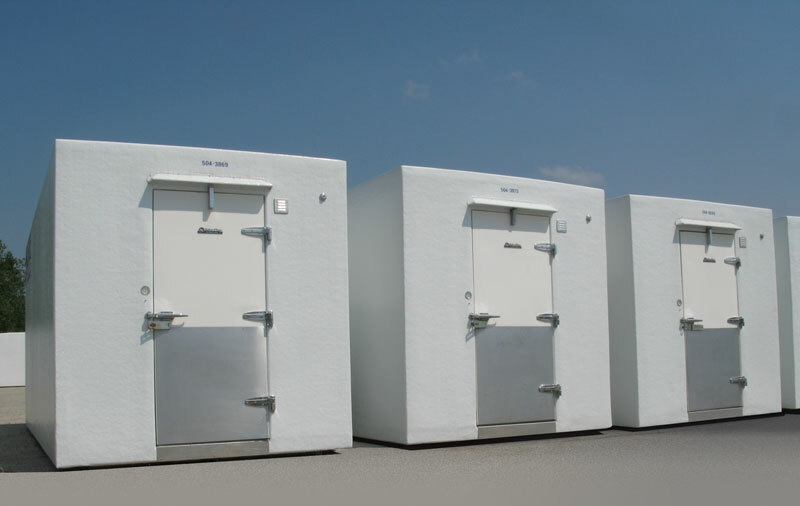 With both long and short term storage solutions available, Polar Leasing specializes in temporary freezer rentals, refrigerator rentals, and refrigerated trailer rentals. Designed around the specific needs of the rental market, every Polar Leasing unit is built to the highest quality standards, with a patented seamless fiberglass design. Combining efficiency, durability, and performance, Polar Leasing temporary refrigeration and freezer units provide storage flexibility and savings. To find a Polar Leasing depot near you, contact Polar Leasing today!